It's almost summer, and that means there are lots of family celebrations, barbeques, and picnics coming up. It's nice to be able to bring a cake that is moist and delicious, and everyone asks for the recipe. This cake is all three of these things, and another one of my favorite Barefoot Contessa recipes. It is from the How Easy Is that? cookbook. Yes, I have had an Ina Garten crush for many years. She is just the most warm and gracious person on her Food Network TV show, and a fabulous cook, of course. All of her recipes that I have tried have always come out great, and her books are always so beautiful, and filled with so much helpful information that the home cook will find useful. 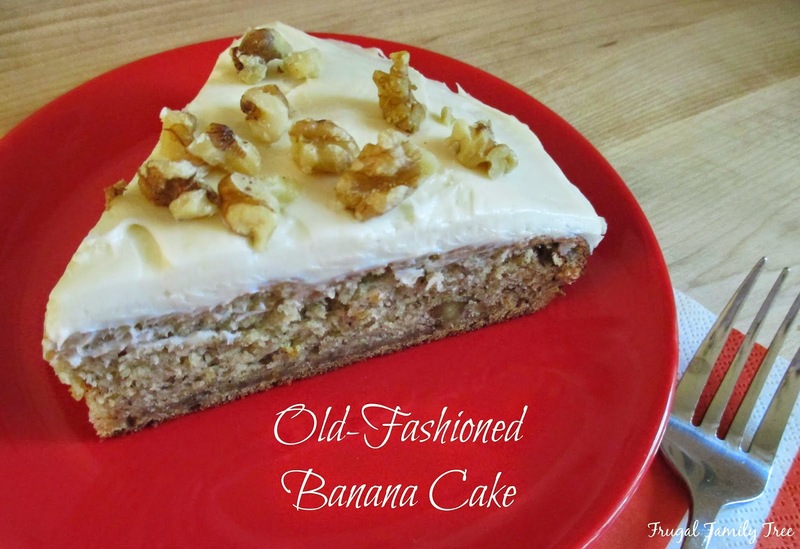 So, if you need a delicious cake, filled with banana and walnut yumminess, this recipe for Old-Fashioned Banana Cake is one I really recommend making. In a separate bowl, sift together the flour, baking soda and salt. With mixer on low, add the dry ingredients and mix just until just combined. Stir in the chopped walnuts. Pour the batter into the prepared pan, and bake for 45-50 minutes, until a toothpick inserted in the center comes out clean. To make the frosting, mix the cream cheese, butter and vanilla in the bowl of an electric mixer fitted with the paddle attachment on low speed until just combined. Don't whip. Add the sugar and mix until smooth. 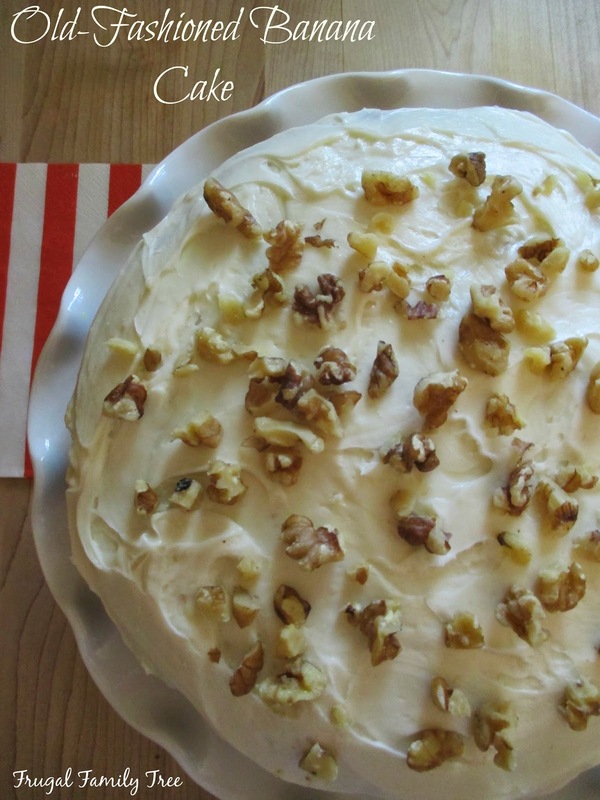 Spread the frosting thickly on top of the cake and decorate with remaining walnuts.